Launched originally in October at ADIHEX 2016, ANOVET® Natural Disinfection has established itself as pioneering product in veterinary disinfectants, aligning with Dubai’s 2020 vision for a green economy and presenting the highest innovation through redefining application… possibilities and safety with a single product. In collaborating participation with German Standard Group, VetME offered an additional spotlight which took ANOVET® to a wider market beyond the falcon market and exotic animals which were the first niches to find immediate value in a safe product suitable for sensitive and expensive animals. 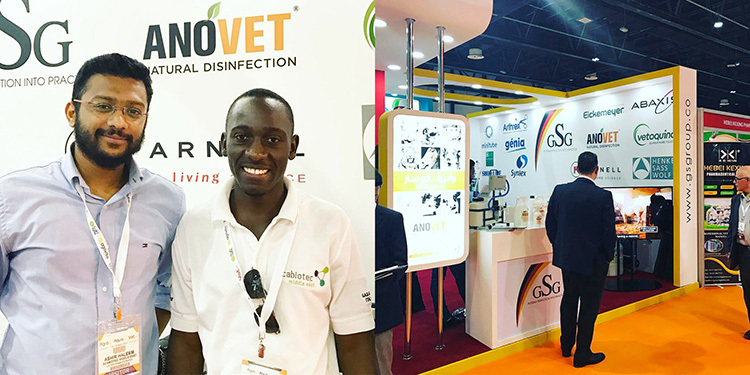 With further critical concerns such as prevention of infection and the benefit of no evacuation needed with disinfection, ANOVET®’s growing market preference in natural and hypoallergenic disinfection is continuing to grow and opening Ecabiotec Middle East to more diverse partnerships in the veterinary field. Aligning with our goals as a company to serve as solution providers to all sectors, with a prioritization and dedication to ongoing research and staying informed on all market needs; participation at both key symposiums and veterinary community events were key in our course of immersion and connecting with end users. These connections provided both feedback and case studies for our further development and content in learning how ANOVET® makes a difference to our clients. Ecabiotec Middle East partners with Dr. Antonio Di Somma specialist veterinary surgeon at Dubai Falcon Hospital and key speaker at German Standard Group’s Avian and Exotic Medicine & Conservation Symposium 2017. U.A.E veterinary talent (from left) Dr. Roula Shaaban chairperson of Emirates Veterinary Association & Dr. Suroor Abdelwahed, Head of subunit of Animal Production at Dubai Municipality. 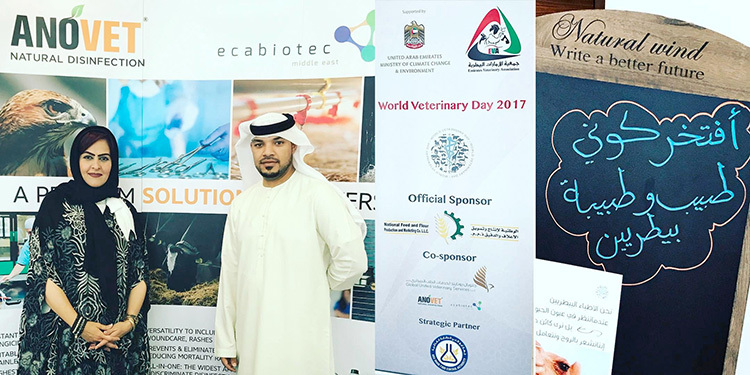 Ecabiotec Middle East was proud to participate with EVA in celebrating World Pet Day 2017 with information sharing & connecting to our local veterinary community. Ecabiotec Middle East participating at Dubai Falcon Heritage; Sports Centre with Dubai Municipality Veterinary Services in hosting local farmers, falconers, and breeders. The collaboration aimed to share innovative solutions in sanitation, hygiene, and health with a focus on drug reduction through prevention protocols. “As a new Veterinarian in the field, I’ve been observing different kinds of drugs and medications and how effective they are. Some medications I can truly call “miracle medications” because their effectiveness can be clearly seen with such desirable results. 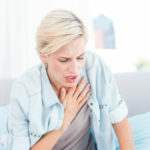 One of these new “miracle medications” is ANOVET® from Ecabiotec Middle East. I got a hold of a free sample bottle one day and was a little skeptical when reading about the active ingredients. How can a disinfectant claim to be antibacterial, antifungal, antiviral AND be very safe as well? Well I was proven wrong. I first saw the disinfectant work its magic on a kitten with a fungal infection. It did not irritate her skin at all. I then decided to try it on a few horses, which had skin problems that varied in severity – from suspected fungal infections to secondary bacterial infection. As an average, literally FOUR days were enough to see such a huge difference! The horses grew their coat back and looked wonderful. Clients were also very pleased and surprised with the results too!